A spring time ritual for my family and has been for years. My grandfather and grandmother would both in early spring travel to the creeks around the Northern Neck when the shad would run through the river. I remember my grandfather in waders with a big dipping net standing in the creek. When a school of shad would come through it would quite literally take him off of his feet as they ran into the net. Tossing or dragging the net on shore with fish flopping everywhere was a memory I won't soon forget. 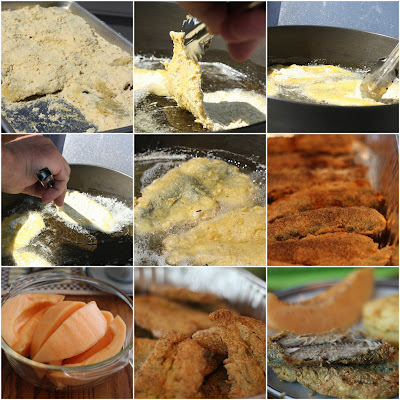 So every spring I still look forward to Salt herring fried in a skillet and our family always had to have cantaloupe on the side. 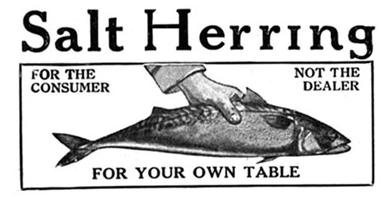 My grandfather would gut and clean the salt herring, pack large ceramic crocks, layer fish with salt and finish with a top layer of salt. This would stay in the basement until you wanted to cook some up. We might look at this now and say that is a lot of work but back then it was just a simpler way to preserve in the spring what you might have the next season!